MATERIAL CORE: colors, grains, patterns, textures, gloss and matters. We have hundreds of options for colors, grains, patterns, textures, gloss and mattes. These finishes can be applied as real wood veneer, high pressure plastic laminate, thermal laminate (melamine) and thermofoil (vinyl). These materials act as the “skin” you see on the exterior of cabinet parts. These “skin” materials are often less than 1mm thick and are layered onto a core sheet of material that makes up the majority of the cabinet part’s thickness. Cabinets Quick uses only high quality hardwood core materials custom made by Colombia Forest Products. This is a huge benefit to contractors, designers and home owners because it offers project versatility and cost control. Our most common material core is particle board which is used as our standard case material. Particle board is the most cost efficient material and can save roughly 8%-12% on total project cost when using this material for cabinet cases. Particle board has evolved greatly over the past 50 years and modern particle board is commonly referred to as furniture board because the quality is suitable for most furniture. At Cabinets Quick we only offer the highest quality ¾” 90 lb. all pine particle board with a void less surface which is favored for its uniform thickness and density. Particle board can be used for commercial or residential job sites in kitchens, bathrooms, pantries, garages, offices, closets and more. We use our particle board in combination with confirmat screws and wood glue to provide strong joint strength in our cabinet cases. MDF is shorthand for medium density fiber, it is similar to particle board but instead of wood chips made of different sizes and shapes MDF is made of small uniform wood particles pressed together with bonding agents. 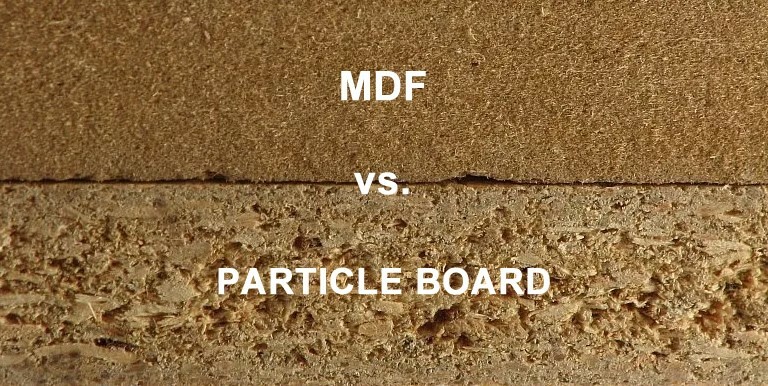 MDF is denser and stronger than particle board and is available with features like moisture resistance and class 1 fire retardant ratings making it ideal for kitchen and bathroom sinks or anywhere moisture may appear. An alternative to MDF or particle board for cabinet projects that require additional durability and strength is plywood. 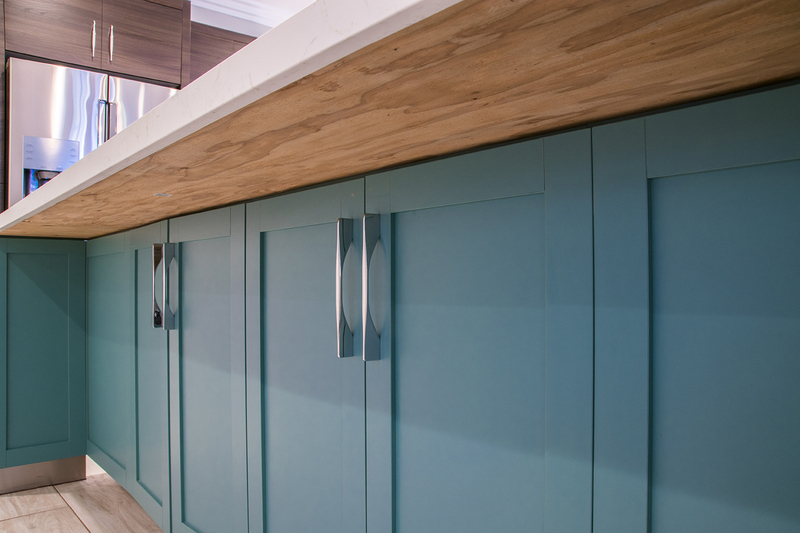 At Cabinets Quick we use ¾” Classic Core Plywood made with inner layers of veneer and 2 MDF outer layers for a smooth and flat surface that is superior to an all veneer ply panel. Real maple veneer plywood has greater strength due to its cross grain construction so it can hold more weight and resist movement or breaking. Plywood weighs less than particle board and is more resistant to dents or impact damage. Plywood is also noted to be less moisture absorbent than particleboard but is still affected after long term moisture exposure.